4 Comments Published by Terrace Crawford on 7/23/12 at 11:03 AM. I spoke with a church leader just a few days ago who asked me if I would send a copy of my book to his pastor for him. I asked him why he wouldn't just get a copy of the book himself and just give it to him as a gift. He replied, "My pastor isn't into social media." He continued, "...but if you send him an autographed copy he might just read it." 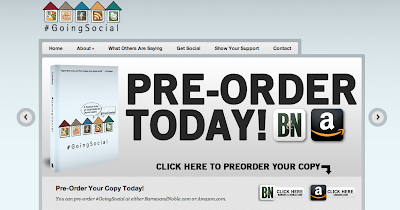 I want to get my book into the hands of leaders who need to hear the message of Going Social. It's about connecting with people where they are already gathering--online, through social media. Corporations recognize the power of social media and are leveraging it through mediums such as Blogs, Twitter, Facebook, and YouTube. Why can't churches do the same thing? Christianity has the greatest message to deliver, yet churches struggle to share it. In this book I help uncover reasons why ministry leaders may resist using social media (just like my friend's boss I told you about) and I dispel some of the myths surrounding it. Additionally, I offer a step-by-step guide to getting started and provide real-life examples of ministries (and ministry leaders) who are using social media in powerful ways. This book is really for any leader whether you are a Pastor, Youth Pastor, Children's Pastor, Outreach Pastor, Small Group Leader -- or really any leader wanting to learn how to use social media to connect with others -- you will benefit from this book! For the next two days I am going to do something unprecedented. 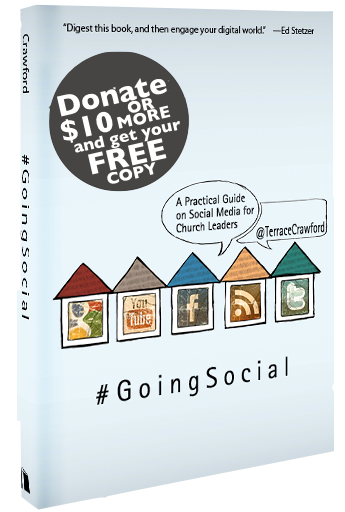 I am going to send you an AUTOGRAPHED COPY of my book, Going Social, as a free gift for your donation of $10 or more here on my site! Just click the "DONATE" icon in the sidebar, make a donation of $10 or more and I'll send you a copy (autographed!) in the mail just after my book releases on September 01. I'm giving you a significant savings off the retail price (nearly half off!) for helping me spread the word about the book and get this resource into the hands of as many leaders as possible! With your help, I know it is possible. Go ahead... secure your copy today (or before Thursday, July 26, 2012 at midnight!)! **If you are interested in ordering multiple copies for your staff or friends (@ the $10 rate) contact me . Here's what other leaders are saying about Going Social: [click to read reviews]. LIKE! #GoingSocial on Facebook, Follow #GoingSocial on Twitter! 1 Comments Published by Terrace Crawford on 7/20/12 at 2:16 PM. 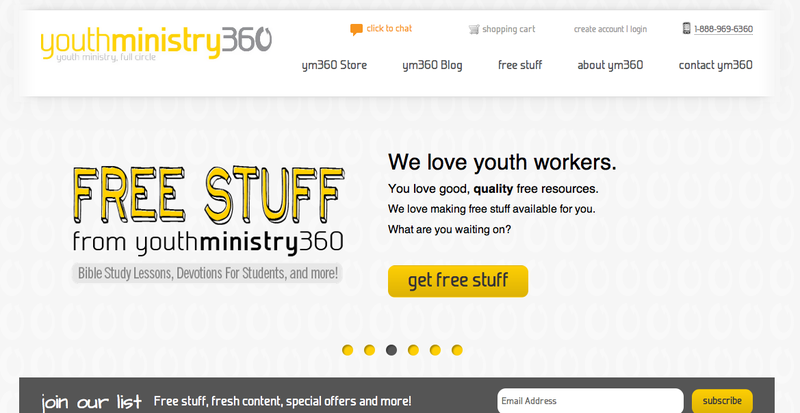 My friends at YouthMinistry360.com come up with some of the very best curriculum and other resources for youth workers -- and I'm not just saying that. I truly believe (and use!) their stuff! Take 5 minutes and click this link to check out their brand-new website that just launched recently. OK -- seriously... go [here] now. And if you talk to the gang at YM360, tell 'em I sent you there. You can tell them you're my best friend. 2 Comments Published by Terrace Crawford on 7/19/12 at 3:07 PM. I just finished up a coaching session with a youth pastor. Just two years ago I was dreaming of how a coaching session would go. I talk with youth workers weekly from around the nation. Some of them are full-time, on staff, at their churches while others are bi-vocational. These youth workers all have one thing in common though... they have all been in youth ministry for less than 5 years and they expressed a need for a coach! That's why I started the Youth Worker Coaching Network... and now about to launch my next Coaching Network group. My coaching network will offer everything you might get from a conference, but it will be a semester long (approximately 6 months). 1. I'll be your personal coach and cheerleader for 6 months. 2. You'll get practical guidance and personal counsel. 3. You'll get a weekly phone call with yours truly. 4. You'll get encouraging but constructive feedback. 5. You'll get occasional free books from publishers. 6. You'll get the shared experience with other network participants. 7. You'll get chat sessions with notable thought-leaders. 8. You'll get other free resources too.... and other fun surprises! How's that sound? If you have a need for a coach... and are remotely interested, you should apply to join my Coaching Network. Here's the deal... I'm limiting the network to only 10 participants, so you'll want to beat the crowd and apply [now]! The application form will be only be LIVE until Friday, August 10th. I'll carefully review the applications and announce to all applicants who will be participating in this round of my network on or just after Wednesday, August 15th. Still not convinced? Listen to some youth workers who have been through my Coaching Network... watch this video. If you don't need a coach, perhaps you know someone who does. Would you please spread the word for me? Additionally, if your organization or corporation would like to partner with me to invest in youth workers nationwide please feel free to contact me about becoming a sponsor. 0 Comments Published by Terrace Crawford on 7/18/12 at 8:09 AM. 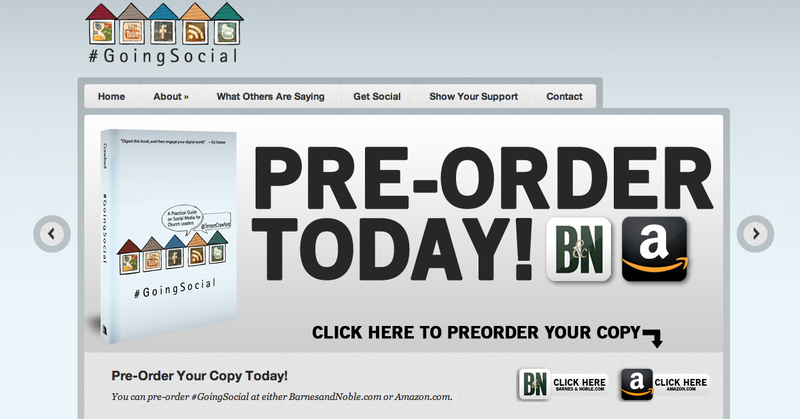 The website for my new book, Going Social, will be launching soon. I thought I would give you a sneak peek at the site today. For now you can visit www.goingsocialbook.net and sign-up to be on our email list! You can also further support the book by liking our page on Facebook or following us on Twitter. 0 Comments Published by Terrace Crawford on 7/16/12 at 2:25 PM. Over the last year God has really made it clear to me that I have a heart and passion for a few things. Two of those things are mentoring young leaders and the other is serving as a pastor and coach to other pastors. Having said that, I'm constantly praying for other leaders ... and sometimes, well, the needs seem so great that I can't help but ask others to be involved in prayer and support. This is one of those times. I became aware of a local pastor's loss just a few days ago. Steve Swisher is the Senior Pastor of Essential Church here in Virginia Beach. His wife, Melissa, lost her brother weeks ago to suicide and the trauma of that loss sent her spiraling into a deep depression that would ultimately take her life. Despite being under professional care, last week, Melissa took a lethal dose of medication which resulted in emergency hospitalization. Four days later she passed into Eternity. She leaves behind 3 small children (ages 7,5, and 4 -- one with special needs), and, of course her husband -- the pastor. My heart is burdened for this dear family and their tragic loss. Please pray for them. There has also been a special memorial fund set up to help take care of the children and help honor Melissa. If you'd like to donate you can contact your local Wells Fargo Bank and contribute to the "Swisher Children Care Fund." Last week I was talking with Josh Sumpter, a youth pastor from PA who is in my Youth Worker Coaching Network. He asked me to pray for a local youth worker friend of his, Erin Jedlowski, who was involved in a traffic accident. Erin has been serving at First Methodist Church in Waynesburg, PA for a short while and was leading a team of students to Slidell, LA on a missions trip when the van she was driving flipped after a tire blew out. Everyone on the van apparently walked away with minor injuries except Erin, who was hospitalized in TN. I've been praying, with Josh, over Erin's care and today I received word today that she passed away. My heart is broken for the church, students, and, of course, Erin's family and friends. Please pray for everyone during this time. Finally, there are a couple of youth workers who are in transition that are on my heart. One resigned from his position a few short days ago while another was let go. My heart goes out to them and I cover them with my prayers because I know it's not an easy season for them. All of these leaders represent countless others who are hurting. Would you please join me in prayer for these ministry friends? And please... take care of your pastor(s) and staff in your churches. Stand with them... support them... encourage them! 0 Comments Published by Terrace Crawford on 7/7/12 at 2:07 PM. Everyone wants to be heard... and if you're on Twitter you probably like to be "retweeted." Being retweeted simply means that someone likes what you posted in 140 characters enough to share it with their followers...so they repost it or "retweet" it. 1. Share great content -- This is perhaps the most fundamental tip of all. If you share great content with your followers people will want to share it. People want to read interesting tweets and they also like sharing them. Make sure you entertain, inspire and inform your Twitter followers. They just might thank you by retweeting! 2. Include a link -- Your tweet is more likely to be shared if you include a link. Whether you're linking to a picture, a news article, or another source, links seem to grab the attention of twitter users. Just like with those potato chip bags that say "now with 20% more!" -- there are proven results to getting retweeted when you include linkage. Try it including a link next time you tweet! 3. Leave room -- Your twitter followers may not retweet you if you don't allow much space for the retweet. Many users like adding additional comments when they retweet you (even if its a "attaboy") but may squelch the idea of retweeting you at all if your tweet is too long. As a general rule, try to keep your tweets to 115-120 characters, which will allow room for others' commentary. 4. Get timely -- Another factor that will encourage others to retweet you is if you share something timely with them. If you link to a coupon or offer that expires soon or if you are one of the first to break a piece of news, you are likely to get retweeted! 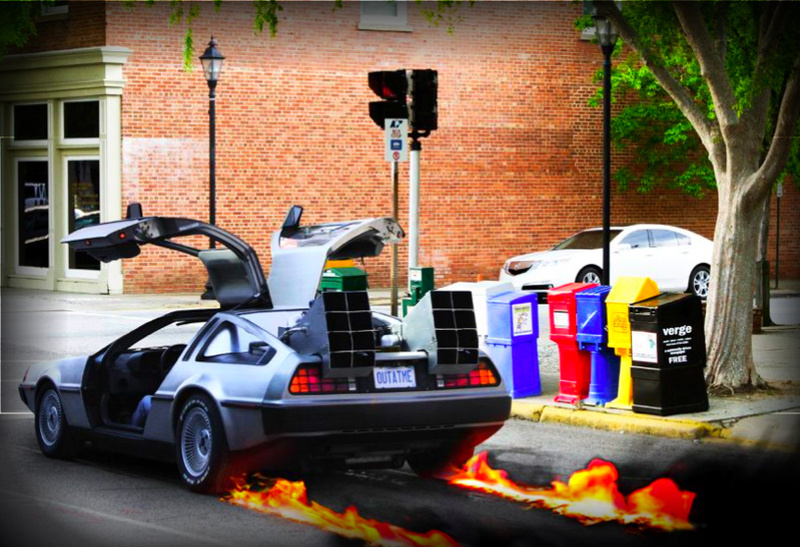 Try adding a timely element in one of your upcoming tweets and see if it gets picked up. 5. Pick a Peak or Prime time - One of the final, but very key, tips I'd suggest to you for getting retweeted on twitter is to make sure you choose an optimal time to tweet. I have found that the optimal times for me to tweet is generally around 11:00AM EST, 3:00PM EST and 8:00PM EST. These times may vary for you depending on who follows you and what time zones they are in. You might try using an app like "Tweriod" to help you determine the best time to tweet. What other tips would you suggest are fundamental to getting retweeted? Follow me on Twitter and feel free to share (or retweet!) this post. 5 Comments Published by Terrace Crawford on 7/6/12 at 2:02 PM. It's been a while since I've had a little Capture the Caption contest here on the blog... and this picture just begs for a caption. How about you provide a caption for the photo in the comments and I'll give away a FREE copy of my new book, Going Social, to the winner (who has the best caption for the photo)! I'll pick a winner by this Tuesday, July 10, 2012 at 5.00PM EST. Have fun! Oh, and you can increase your chances of winning a FREE copy of the book (which releases nationwide on Sept 01) by entering the Facebook contest going on now...[click here to enter]. Learn more about [Going Social]. Pre-order the book [here] now! Read the reviews of the book [here].